Our intention with the event was always to look beyond the confines of “folk” activities (as they are conventionally defined), and to draw new connections between the great range of research being carried out on participatory arts more broadly (with, of course, an emphasis on the role of digital media and technologies in these varied fields). The line up of speakers, and the range of topics they covered, helped to get a sense of the ‘big picture’ of digital impacts on artistic and cultural participation, and so help us to think about the intellectual contexts for this particular piece of research. 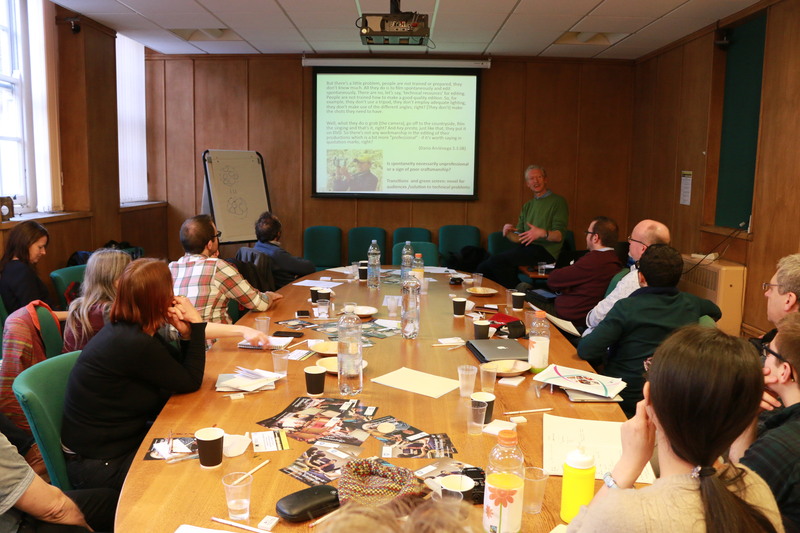 After an introduction from me on the Digital Folk project (it’s aims, objectives, scope, etc. 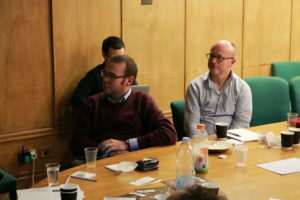 – all information you’ll find here and here), my Co-Investigator David Gauntlett then ‘panned back’, by introducing delegates to the idea that the vernacular cultural activities found on – and enabled by – the internet might reasonably be understood as contemporary ‘folk culture’. An important feature of David’s recent work has been the exploration of the internet as a facility for: conversations; inspirations; and making things happen. Now, any scholar who, like me, spends much of their time thinking or teaching about the definition of ‘folk music’, feels instantly at home with a three-part formula like this… I found myself instinctively wondering if these three things might be usefully mapped on to Sharp’s model of ‘folk song’: continuity; variation; and selection. It’s a tricky one: it’s perhaps reasonable to see ‘conversations’ as a form of continuity (in as much as conversations enable ‘transmission’ of materials/ideas); it’s also possible to see ‘inspirations’ as the moment where ‘variation’ takes place; but ‘making things happen’ (or, more specifically, making new things happen) seems to speak to the particular affordances of the new global reach of digital technology… it also seems to speak to the human drive for innovation, rather than the other human drive: that of conservation, or tradition – something I’ve written about briefly here. More compelling as a mirror with the folk arts was the idea of the internet as something with a ‘low floor’ (it’s easy to get started in participating), a ‘high ceiling’ (there’s huge potential for the development of complex skills, knowledge, and creations), and ‘wide walls’ (there’s a broad range of available types of activities). David introduced these as the intended features of creative outlets such as LEGO, but the features are clearly visible in the ethos of contemporary folk arts. The institutionalisation of various folk arts traditions around the globe has, it might be argued, raised the floor and narrowed the space available for creative exploration… perhaps it could be suggested that digital affordances have lowered the floor, and pushed out the walls, by giving those who do not conform to a norm – in terms of technical standard, style, or chosen activity – a renewed sense of a (valid) voice. In other words, digital media/technology may be facilitating the re-vernacularisation of traditional arts…. Kerrie Schaefer (University of Exeter) then introduced two contrasting community digital arts projects: the Yijala Yala project based in the Pilbara region of Western Australia; and the MED Theatre project in Dartmoor. The paper illustrated, vividly, the relationships between regional politics and digital artistic activities in these two examples. Both involved local communities resisting romantic – or imperialist – narratives of the respective localities and communities as static or historical, by instead engaging with digital media to self-represent as living, evolving, ‘in the here and now’. Again, the parallels with the muse of Digital Folk were clear in this respect. Also significant here was the discussion of resistance shown towards culture industry (such was demonstrated by the MED Theatre project’s participants’ resistance to the idea of a commercialised app). 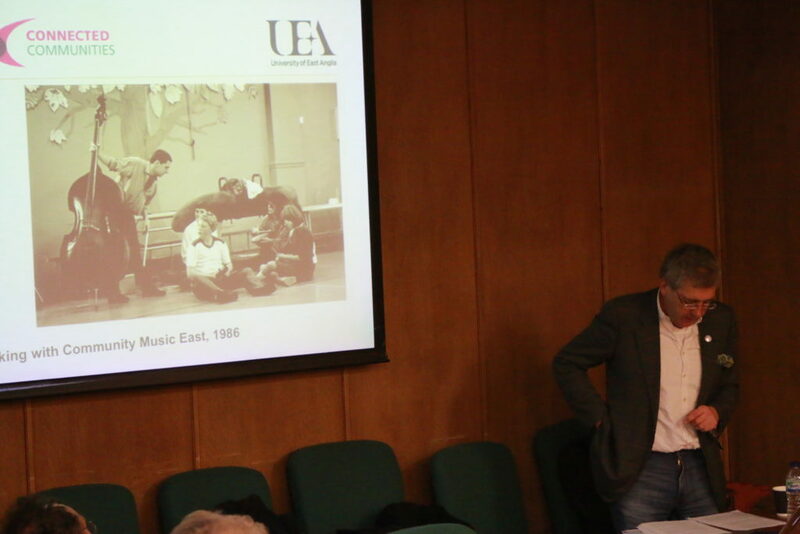 Henry Stobart’s (Royal Holloway, University of London) contribution offered an introduction to yet another very different cultural milieu – that of indigenous music video-making in Bolivia. Focusing on the use of the VCD in Bolivia, the paper was a useful reminder of the diversity of digital technologies that help to shape local techno-scapes – an important point to be made in a field of scholarship where it is easy to imagine one homogeneous, globally applicable pantheon of digital elements. The paper was also a very valuable reminder that close ethnographic observation of people using digital media can offer significant insights for charting continuing cultural similarities and diversity. My favourite point with this paper, however, was how Henry linked together two disparate ideas – the idea of making a digital artefact, and the idea of participating in a cultural act. In his case study of the Bolivian highlands, Henry found video-making to be a ‘participatory’ activity (rather than a ‘presentational’ one – c.f. Thomas Turino‘s dichotomy). This fit very clearly with my own work looking at digital recordings in folk sessions in the North East. Sita Popat (University of Leeds), offered a very different perspective, by speaking to the sensory, embodied experience of digital technologies and media. Through her exploration of virtual and mixed-reality art installations, Sita brought into sharp focus the juxtapositions of dislocation (brought about through virtual/virtualised environments) and the human instinct for physical interaction or enactment. A brief mention of the disorientation caused by the lack of an avatar representation of the body within the virtual space of a simulated balloon ride led me to wonder if this may be an interesting metaphor for other types of ‘self-absence’ experienced within other virtual spaces/platforms. An appropriate “book end” to the research papers, George McKay’s (University of East Anglia) paper returned us from contemplation of the representations and transformations of the artistic and physical self, to matters of group/community activity, with his thoughts on “the congregationalist imperative” within the cultural politics of the music festival. The paper was particularly important for spelling out the possibilities of an instinct to congregate as a nostalgic response to – or compensation for – the technological atomisations of contemporary life. Again, these ideas spoke particularly clearly to the ‘parallel’ human instinct to participate in tradition – ever present in the folk arts, and something taking on new meanings in an increasingly digitised world. In the role of “Discussant”, Nikki Dibben (University of Sheffield) responded to the papers by drawing together themes for the discussion that followed. Among them were: the interweaving of offline and online worlds; the dependencies on/of the physical and virtual; the politics of participatory opportunities/arts (‘Who is this participation for?’); and the methodological demands of this new wave of study. The conversation illustrated a shared acknowledgment that ethnography in the new digital field requires a participant observation that is informed in terms of the digital activities with which your participants are engaging. It was also agreed that one must strive to understand, ‘from first principles’, participants’ responses to things like intellectual property (i.e. that concepts like IP cannot be assumed on the grounds of hegemonic, top-down discourse). One exciting realisation for me was that, despite the range of topics, approaches and disciplines represented in the papers presented, all were to some extent demonstrating digital practice as a way to speak to – or disrupt – concepts of space, place or location (including where the online/virtual is the space, as was the case in Sita’s paper). The collection certainly brought into sharp focus that juxtaposition of digital mediation and physical location/embodiment/environment. Sita made the compelling point that the first thing people try to do in a VR environment is ‘reach out’ and simulate touching another person; it seems like this could be a really strong metaphor for instinctive applications of digital affordances that enable people to achieve new kinds of interactive “contact”.